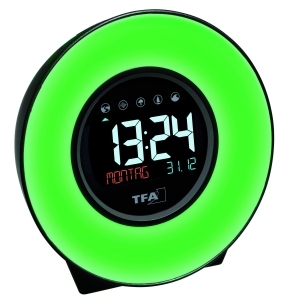 "Now it’s twenty-eight minutes past nine, nineteen degrees Celsius"
Ingenious as everyday help for blind or visually impaired people – the alarm clock "TALK" from TFA speaks with you! 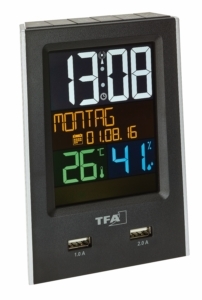 Depending on the setting, the current time and temperature are announced at every hour, every hour from 7 to 21 h, or anytime at the touch of a button. The volume can be set in two levels. 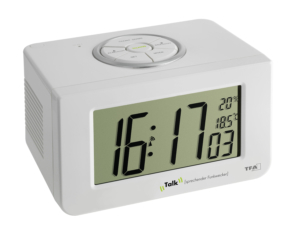 The advantage of TALK: You don’t have to search the query button for a long time – the whole alarm clock is a single, large button. 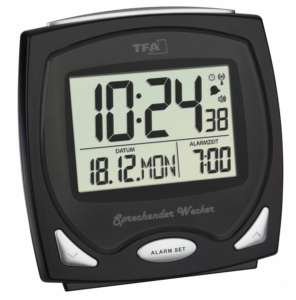 Just press the alarm clock and the voice will tell the time and room temperature. 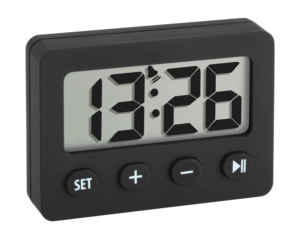 All other settings can be done with three buttons underneath the alarm clock. 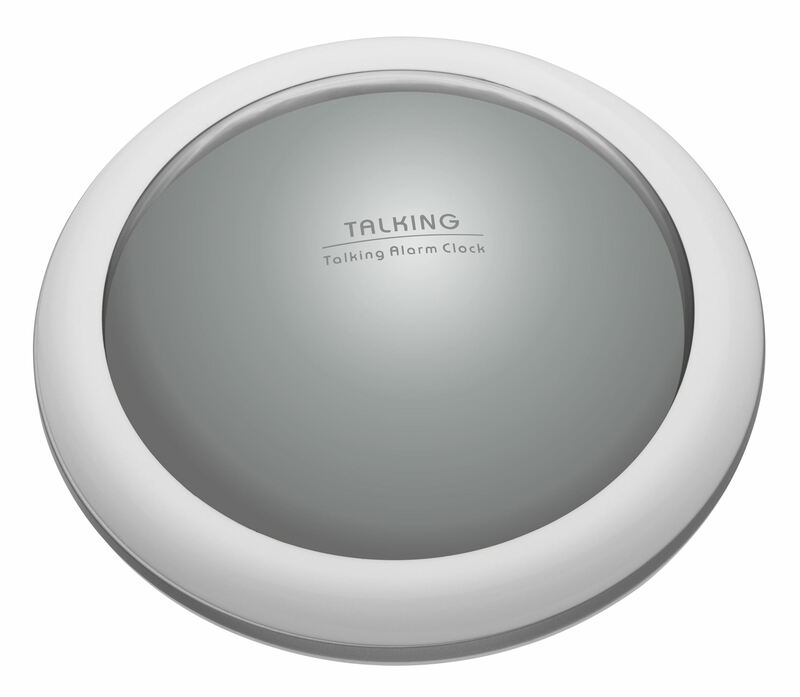 You can choose between three alarm sounds – a simple beeping, a cuckoo call or a melody. 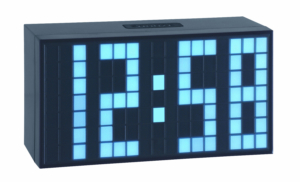 And if you don’t want to get up right away, you can get a few minutes of extra sleep with the snooze feature.